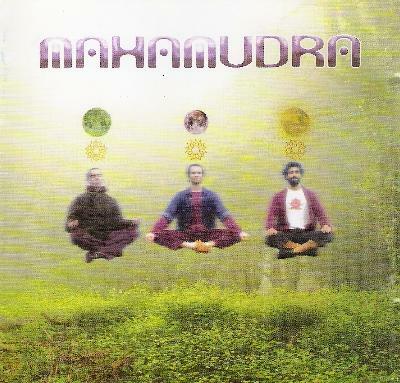 Mahamudra are a guitar/bass/drums/keyboards instrumental quintet from Portugal who play progressive rock with space rock, psychedelic, krautrock and jazz fusion influences. Their self-titled debut from 2005 featured cosmic edged Prog with constantly shifting thematic gears, lots of exploring and morphing, jamming grooves and spaced out fusion. Alcintara is the band's new album and is a great leap forward from their debut. Darker and more intense than the first album, Alcintara is chock full of Space Rock, Krautrock, and dark cosmic Progressive Rock. Its early 70's inspired but by no means retro. Still Prog based, but much heavier and more overtly in Space Rock and exploratory Krautrock territory. Highlights include the title track, which has a potent bass and spaced out groove that reminds me of Melting Euphoria. Throughout the album the music often struck me as a blend of Amon Düül II "Yeti" styled jam and dark Italian progressive rock á la Goblin, if you can imagine a mixture like that. A primo example of that sound is the 11 minute "Visoes", a high intensity jam with a steady rolling rhythm section, psychedelic jazz fusion keyboards and haunting atmospherics. Seriously intense rockin' stuff. While the first album was a strong debut, on Alcintara the band do a much better job of incorporating their variety of stylistic influences into a much more consistent whole. Hot stuff indeed. For more information you can visit the Mahamudra web site at: http://daluz.web.pt. Hear Mahamudra at their Myspace page at: http://www.myspace.com/mahamudramusic.